Part Time positions currently available. Caring and motivated individual to provide support and supervision for Delco group home serving women and children; HS/GED, Associates Degree and experience preferred; driver’s license required. Includes nights and weekends. Fax resumes to: LP/LD/CFF 610-328-2807. On July 28, the Direct Care Workforce Empowerment Act, a bill that will help create a more stable, valued direct care workforce and increase the quality of care for millions of Americans, will be introduced. extending wage and overtime protections to home care workersimproving data collection and workforce monitoring; and providing grants to states to improve direct care workforce recruitment and retention.Please contact your Representative and ask that they become an original cosponsor of this exciting new bill today. Learn more about the Direct Care Workforce Empowerment Act at Direct Care Alliance, Inc's website. After being stalled for weeks, yesterday the Senate voted for a bill that will restore unemployment benefits to 2.5 million jobless Americans that have been out of work for more than 6 months. The bill extends the deadline to file for extended unemployment benefits until the end of November. Federal unemployment payments, which last up to 73 weeks, begin after the state-funded 26 weeks of coverage expire. Federal benefits are divided into tiers, and individuals receiving benefits must apply each time they move into a new tier. Many without jobs stopped receiving any unemployment benefits in June. The benefits will be retroactive but it may take states up to a month to start sending checks again. The bill now moves to the House where they are expected to vote on it today. Women still earn on average 77 cents for every dollar earned by men performing substantially the same work. That means that the average woman loses $700,000 in pay due to gender discrimination in her lifetime. For women of color, this number can be even higher. Fair pay is especially critical in this tough economy because more and more women are the sole breadwinners in their families. There is tremendous urgency to help workers impacted by the recession reenter the labor market. However, many workers lack the specific skills employers require, leaving employers to struggle to find skilled workers in certain industries, even in times of economic slowdown. Earlier this week, the U.S. House of Representatives passed the Strengthening Employment Clusters to Organize Regional Success (SECTORS) Act (HR 1855). The SECTORS Act creates partnerships of businesses, unions, the public workforce system, and education and training providers to come together to develop and implement plans that target job training at the current and anticipated skill needs of industries within a geographic region. These partnerships improve worker training, retention and advancement by developing skill standards, career pathways, job redefinitions, and shared training and support capacities. Now that this bill has passed the House, it will move onto the Senate. While the state budget has been passed and signed, there is unfortunately still work to do as the budget includes $850 million in federal funding that Congress has yet to approve. Without the funding, layoffs at all levels of government, as well as teachers and emergency workers, and additional cuts to programs are likely. This funding would come from the extension of the federal percentage of matching funds for state Medicaid expenditures, known as the Federal Medical Assistance Percentage (FMAP). The American Recovery and Reinvestment Act of 2009 enhanced the FMAP contribution for states through December 2010. Legislation now before Congress would extend the enhanced FMAP funding to states through June 2011, but the bill has stalled. Cross-posted from PathWays PA's Resource Library Blog. You may still be able to claim the first-time homebuyer credit! The recently enacted Homebuyer Assistance and Improvement Act of 2010 extends the closing deadline for first-time homebuyers from June 30 to September 30, 2010. What does this mean? It means if you entered into an agreement to purchase your home on or before April 30, 2010, and are set to close on the purchase of the home before September 30, 2010, you can still receive the credit. While the state budget has been passed, there is unfortunately still work to do as the budget includes $850 million in federal funding that Congress has yet to approve. If Congress fails to approve the FMAP funding, the Governor and legislators will have to find another way to balance the budget, which will likely require cuts in funding for critical human services. Nearly half of all women have delayed or avoided preventive care due to the cost. The new health care reform law addresses this problem by requiring all new private insurance plans written after mid-September to cover several categories of preventive services without any cost sharing (including co-payments, coinsurance and deductibles for all expenses that must be met before coverage kicks in). The categories of services to be covered include preventive care and screenings for women as recommended by guidelines to be developed by the Department of Health and Human Services. Cross-posted on PathWays PA's Resource Library Blog. The Greater Philadelphia Urban Affairs Coalition has published two publications aimed at helping homeowners avoid foreclosure. 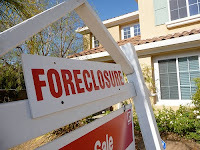 Foreclosure can be a stressful and complicated process. These guides were produced to help homeowners understand the process so that they can take control. GPUAC’s Summer/Fall 2010 Foreclosure Prevention Guide was developed to assist professionals such as housing counselors, attorneys, and lenders. It was created by the Foreclosure Prevention Task Force, a group of bankers, housing advocates, government officials, and community leaders working to combat the foreclosure crisis. Another guide is Navigating the Slippery Slope of Foreclosure, which is a brochure that provides step-by-step instructions homeowners should take, based their individual circumstances, to avoid losing their homes. Currently, women working full-time, year-round make an average of 77 cents to every dollar that men make. This means that the average woman loses $700,000 in pay due to gender discrimination in her lifetime. For women of color, this number can be even higher. Fair pay is especially critical in this tough economy because more and more women are the sole breadwinners in their families. Since Governor Rendell has signed a budget, this will be our last Special Budget Alert of this budget season. Please see this Policy Blog and sign up for our E-Newsletter for information regarding the severance tax and other issues affecting Pennsylvanians. PathWays PA like to thank all of our readers for their support and feedback on our alerts. In an effort to improve future alerts, we have created a brief survey. Please take a few minutes and let us know what you thought of our Budget Alerts and how we may be able to improve them. Also, please stay turned, as next year's budget is already right around the corner while revenue for this year’s budget has not been fully determined. PathWays PA hopes everyone had a happy and safe 4th of July. Last week, Industry Partnership (IP) legislation passed unanimously out of the Senate’s Labor and Industry Committee and is now on its way to be debated on the state Senate floor. IP's are consortia of businesses with similar products, markets and human resources needs that come together to identify and address common workforce education and training issues. Currently, more than 6,300 employers across Pennsylvania participate in 74 Industry Partnerships, and more than 73,000 Pennsylvanians have benefited from IP training. Individuals trained through Industry Partnerships see an average wage increase of over 6 percent as a result of their training. Cool off this July with ice cream and learn about upgrades to the PA CareerLink® job posting site, the Commonwealth Workforce Development System (CWDS). CWDS is currently going through upgrades to make it easier for you as an employer to post jobs and find qualified applicants. If you have not used PA CareerLink®'s complimentary employer services before, or if you have been a long time user, consider taking advantage of this valuable opportunity and stop by the PA CareerLink® office at Chester City to learn about these improvements and enjoy an ice cream treat. Please bring your business cards as there will be plenty of time for networking! Please RSVP to Sarah Twomey. Currently available in 80% of the country, 2-1-1 is an information and referral line that connects people to vital social services provided by a range of nonprofit and government agencies. This number saves time and frustration by eliminating the need for callers to navigate a maze of agencies and help-lines. When a person calls 2-1-1, specially-trained information and referral personnel analyze what services are needed and provide the appropriate resource and related information. Today, 2-1-1 service is available to 80 percent of the U.S. population with 240 active 2-1-1 call centers in 46 states; however, because of the expanding reach and increasing visibility of 2-1-1, many 2-1-1 call centers lack the resources needed. Please take a moment today to contact your Representative and Senators and ask for their support of the Calling for 2-1-1 Act (H.R. 211 in the House, S. 211 in the Senate). The Calling for 2-1-1 Act would provide funding necessary to meet these needs. Starting today, new insurance coverage and information is now available to most people throughout the country. Insurance Coverage: Many states have made Pre-Existing Condition Insurance Plans available starting today for people who are uninsured due to a pre-existing condition. These plans will continue until 2014, when new health insurance rules go into effect. In Pennsylvania, these plans will be state-run and will go into effect on July 12, 2010. Premiums under the Pennsylvania plan will cost $283.20 per month. New Information: Starting today, a new website, www.healthcare.gov, is available to answer questions about insurance coverage options by state as well as information on prevention, care quality, and understanding health care reform. Yesterday, Industry Partnership (IP) legislation passed unanimously out of committee and is now on its way to debate on the state Senate floor. The Industry Partnership bill amends the Pennsylvania Workforce Development Act to make Industry Partnerships a permanent part of Pennsylvania’s workforce development system. It will require the Department of Labor and Industry to continue defining targeted industries and High Priority Occupations and to administer a grant program when funds are made available.